Wonderful to see this. I have another then and now, with R J Sutton at his shop door in the fifties. 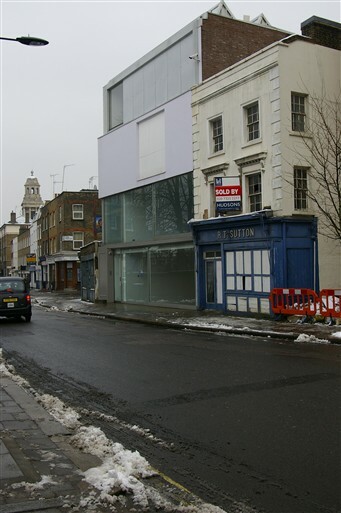 I mourn the death of the proper junk shop and junk market in London, and remember his shop from late sixties. Some of the stock was still there from then until it closed, though I often managed to find things to buy. 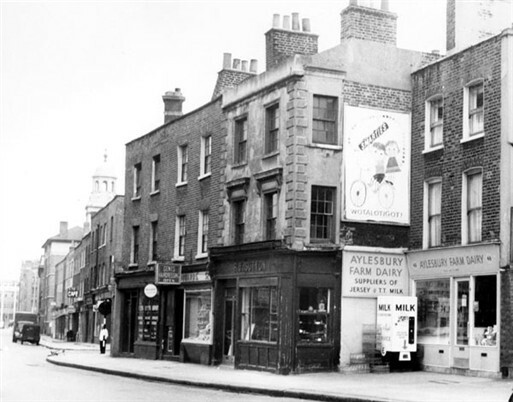 The milk shop in this picture had a milk machine outside where you could buy fresh milk 24/7 for a few coppers.It was later owned by Roger Jennings who recycled old beds. The milk shop in this picture had a milk machine outside which also sold cold orange drinks. After coming out of the salvation army next door we kids used to buy a nice cold drink from the machine. In the picture of Bell Street I can make out the barbers in the row of shops. We used to call it "Reecemans", don't know if that was its real name or not. I remember if you misbehaved you were sent there for a short back and sides for punishment. Also, just out of shot is the Salvation Army Hall where I went to Cubs. I also went to the clubs in the salvation army hall in the early 50s. we lived just up the road in Sheringham House, my gran lived in Burne st.
My great-great grandmother was born at 33 Bell Street in 1842, and lived there with her family between the 1830's and 1870's. I imagine that the house used to stand on the corner of Bell and Penfold but understand that a bomb fell in the street, right in front, during the war. Would anyone have any particular memories of it to share? I've been looking to find old street-scene photos that might include it but, so far, have had no luck. Thanks for providing your memories, everybody. It's the closest I've come to "meeting" my ancestors. My great aunt used to own Allen's Greengrocers at No. 15 Bell Street after the war until about 1956. 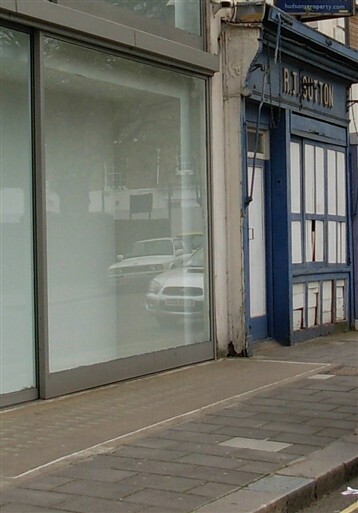 Does anyone remember this shop or have any photos of it? Does anyone remember the Mission Hall on the corner of Bell Street and Burn Street? Mr Long (we used to call him 'Mr Pastry') was the pastor and we used to have pantomimes at Christmas. My parents were the caretakers and we lived there for 16 years until they pulled it down to make way for the flyover. Loved living in Bell Street as a child and teenager and Church Street just up the road. We were quite poor but nobody seemed to worry about that then unlike today and we seemed very happy. Maybe rose-tinted glasses but I don't think so.